Our next episode will jump forward a few years as we watch Edge of Tomorrow! 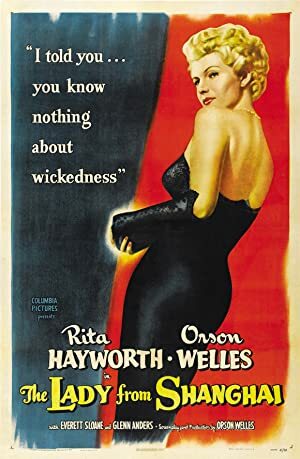 Plot: Fascinated by gorgeous Mrs. Bannister, seaman Michael O'Hara joins a bizarre yachting cruise, and ends up mired in a complex murder plot. Our episode was recorded live at the Trylon theater in Minneapolis. 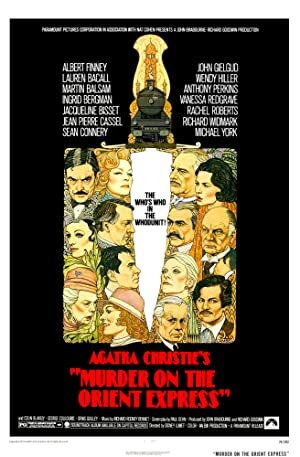 We watched the only adaptation of an Agatha Christie novel that the author actually liked, Murder on the Orient Express. 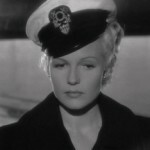 The cast is full of A-list stars including Ingred Bergman, who won an Oscar for her performance in this film. After the movie, audience members joined us for a discussion of the film. Our next episode will introduce Jena to Bette Davis as we watch All About Eve! 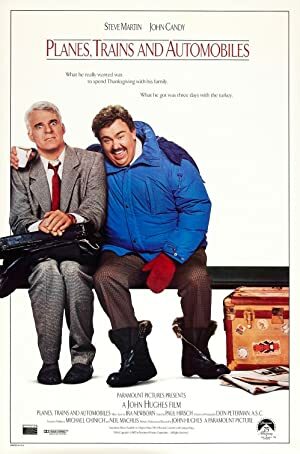 Plot: In December 1935, when his train is stopped by deep snow, detective Hercule Poirot is called on to solve a murder that occurred in his car the night before. A Reel Education LIVE on February 22nd! 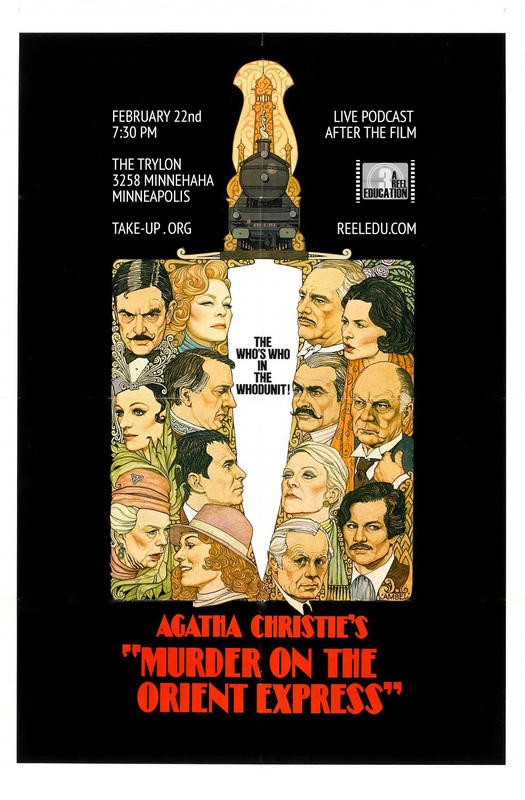 A Reel Education is pleased to return to The Trylon Microcinema on February 22nd! 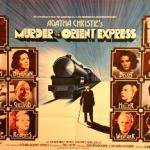 This time, we will be presenting Murder on the Orient Express, which contains one of the greatest ever all-star casts. 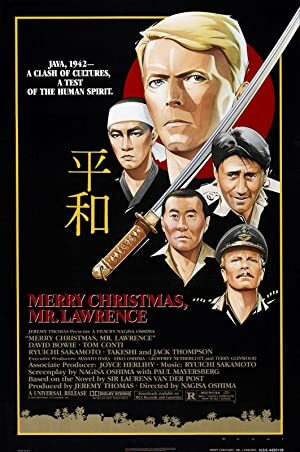 Film starts at 7:30 PM. 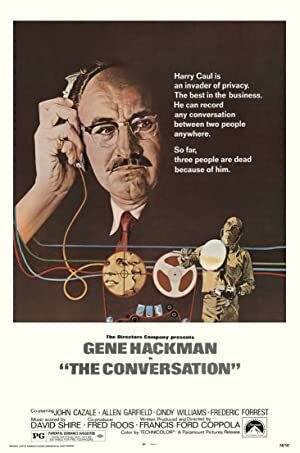 Podcast will be recorded immediately after the film. 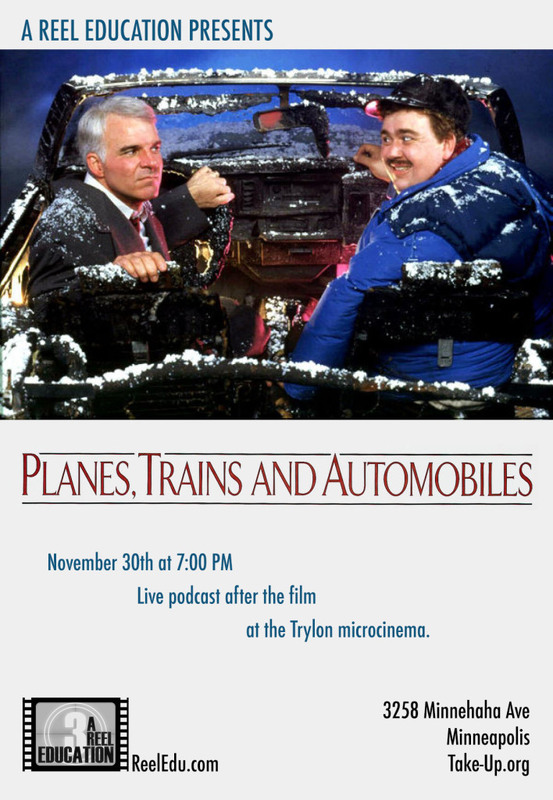 We were glad to return to the Trylon Microcinema for a live recording this episode! 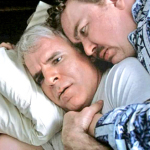 We enjoyed Steve Martin and John Candy in the dramedy Planes, Trains and Automobiles. Tim got to share his own story of travel hell although he was quick to point out that his car never caught on fire. The first part of the episode was recorded in a coffee shop so enjoy the background noise! Our next episode will be about Mystery of the Wax Museum. 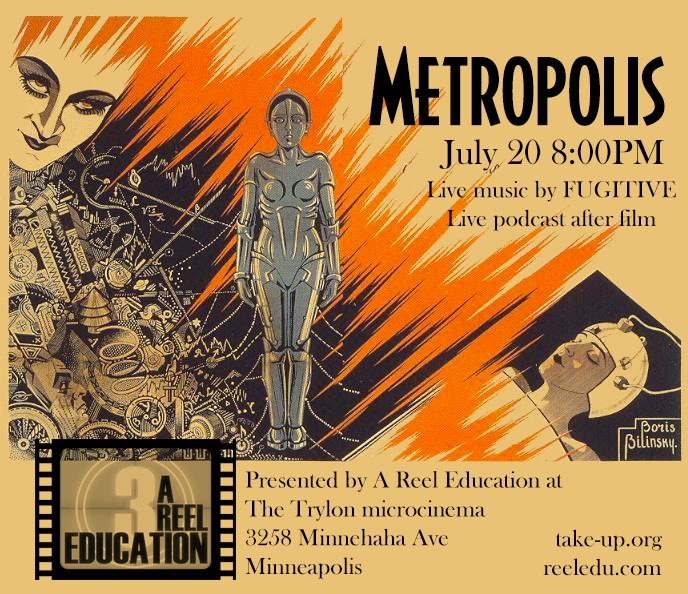 Our newest installment was once again recorded live at the Trylon microcinema in Minneapolis! 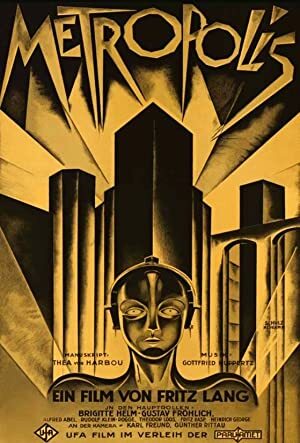 We watched Metropolis with live accompaniment from Fugitive. 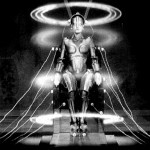 Jena was treated to what many would consider the first true Science Fiction film with original music composed specially for the showing! A sold out house joined us for a great experience and many of them stayed behind to discuss the film. It was a great discussion cut short only because we wanted to make sure the folks at the Trylon could go home. Please note that part one of the episode was recorded outside and part two was recorded inside the theater with audience interaction. We apologize if anything is difficult to hear. The break music is “Desruction” by Loverboy. It comes from the Moroder soundtrack. Our August 15th episode will be a discussion of Tim Burton’s Ed Wood! This week’s episode was recorded live at the Trylon theater in Minneapolis. 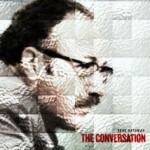 We watched Francis Ford Coppola’s classic thriller The Conversation featuring Gene Hackman. Afterward, we had a spirited conversation with several members of the audience. Because we were live in the theater, some of the conversation might be a little bit quiet for some listeners. Sorry about that! Our next episode will be all about Buster Keaton’s The General!